I love a bit of Jergens. And I know I’ve posted about them on numerous occasions previously but this one deserves an extra mention. Their hand cream or ‘Extra Softening Moisturising Hand Cream’ as they prefer to call it – has become an absolute must-have at my bedside and in my handbag. When the 3 for 2 offers are on I get 6. That way when my husband/kids steal them I don’t feel quite so put out. 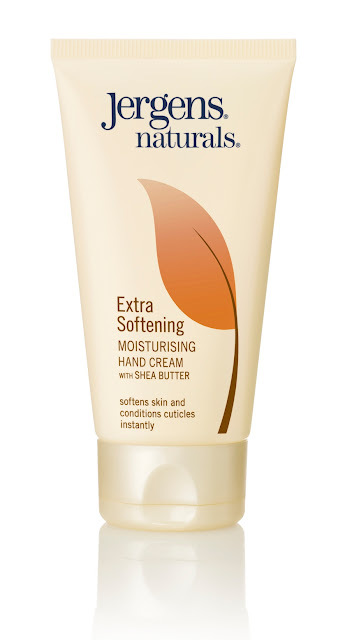 It contains jojoba, soy, yoghurt and shea butter and most importantly, absorbs immediately and smells gorgeous. It retails at – wait for it: £2.54 – yes £2.54 for 75ml and is worth every penny. A must-have for a Monday! Jergens is sold in most major chemists and supermarkets. Next Post More than just a pink ribbon….